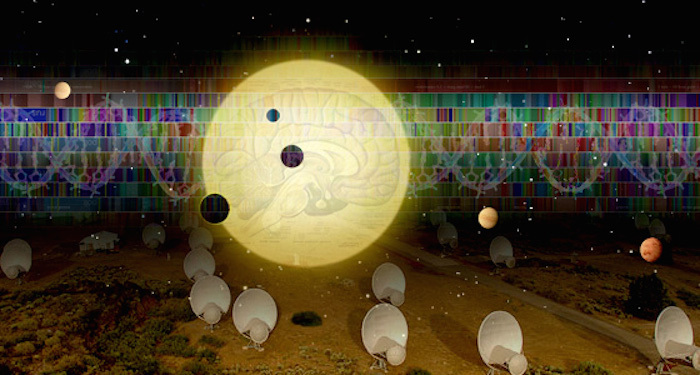 MOUNTAIN VIEW – The SETI Institute Director of Research, proposed a broader, multidisciplinary approach to the SETI search, beyond radio and optical modalities, in an article published today in the journal Astrobiology. “Are we alone in the Universe?” is the provocative question that inspires the scientific search for life beyond Earth. Today, we know definitively of only one planet that hosts life, and that is Earth. How can we find life, and in particular, intelligent life beyond our world? Led by pioneers such as Frank Drake and Jill Tarter, SETI – the Search for Extraterrestrial Intelligence – commenced in the 1960’s using radio astronomy to listen for signals from ET. Today, both radio and optical SETI searches seek signals generated by technology similar to ours. There are compelling reasons to continue with these endeavors, but equally compelling reasons to broaden the search criteria and expand the existing methodologies. In her paper’s call to action, Cabrol promotes the establishment of a Virtual Institute with participation from the global scientific community. The new SETI Virtual Institute will integrate our new knowledge to understand who, what, and where ET can be, and step beyond the anthropocentric perspective. New detection strategies generated by this approach will augment our chances of detection by identifying new survey targets. The purpose is to expand the vision and strategies for SETI research and to break through the constraints imposed by imagining ET to be similar to ourselves. This new endeavor will probe the alien landscapes and mindscapes, and expand our understanding of life in the universe. The SETI Institute is a multi-disciplinary, highly collaborative research organization committed to exploring, understanding, and explaining the origin, nature and prevalence of life in the universe. It does so with expertise in fields ranging from astrophysics and planetary science to biology and social science, as well as computer science and signal detection. We have a passion not only for discovery, but also for sharing knowledge as scientific ambassadors to the public, the press, and government. The SETI Institute is a distinguished partner for government agencies, academic institutions, and corporations around the world.